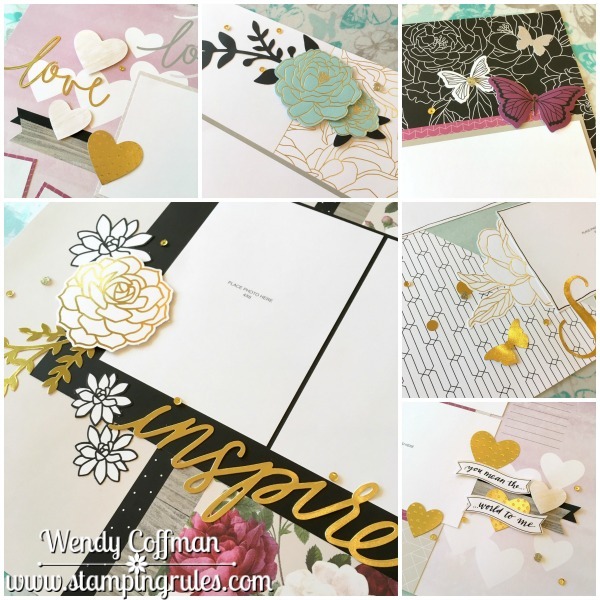 Our National Scrapbooking Day crop is coming May 6th, and I cannot wait to scrap with my local Stampin' Friends that day! 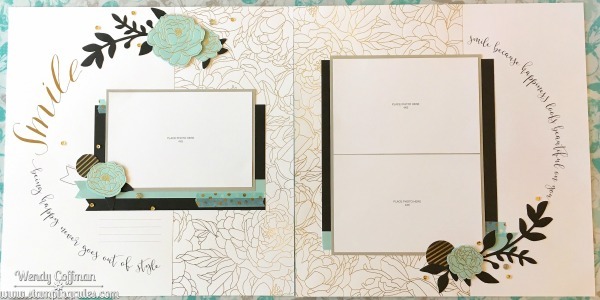 This is one of 5 beautiful layouts from the Live Beautifully Scrapbooking Workshop we will be doing that day. I especially love all the gold foil embossed roses on the background. If you want more kit details, join my VIP Monthly Memories Facebook Group or contact me for all the scoop!